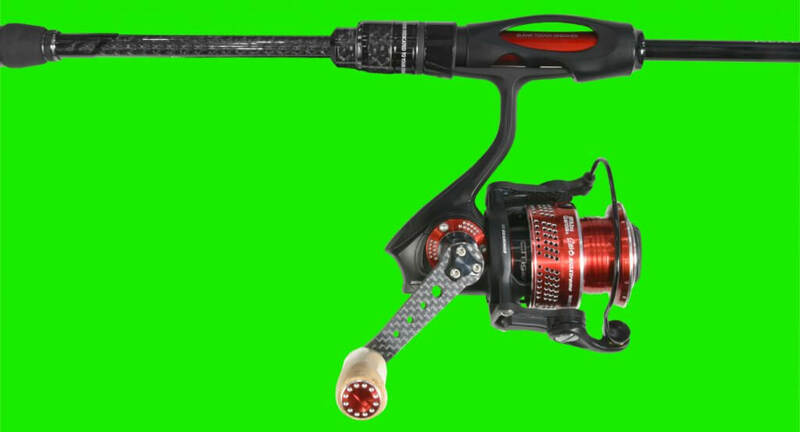 The clear winner in the Best Combo category was the Abu Garcia MGXtreme spin reel matched with a Real Finesse rod. The Abu Real Finesse also won the Best Rod category. MGXtreme spin reels are Abu Garcia’s lightest and most compact spinning reels. These brand new reels feature the CMg carbon rotor and one-piece X-Mag alloy gear box to reduce weight to 5.6oz (159g). The high performance, durable AMGearing system is combined with HPCR and Salt Shield bearings for both freshwater and saltwater use. This extremely lightweight, versatile reel is also equipped with an innovative removable sinker keeper that eliminates tangling when using a drop shot. Features include: 11 stainless steel HPCR bearings (Salt Shield ball bearings for pinion gear and line roller) + 1 roller bearing; CMg rotor; AAMGearing system; Carbon Matrix drag system; one-piece X-Mag alloy gear box; C6 carbon body; Rocket line management system; compact bent carbon handle arm with cork knob; always on, instant anti reverse; and attached sinker keeper.